As part of our long-term commitment to sustainability-related initiatives, the Oregon Museum of Science and Industry (OMSI) applied for and received a $2.3 million grant from the U.S. National Science Foundation for a five-year project titled Sustainability: Promoting Sustainable Decision-Making in Informal Education. 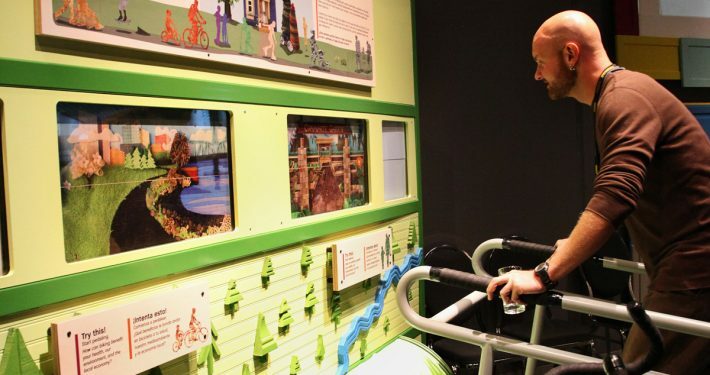 The grant was to create and test several innovative means of “promoting sustainable decision-making” in the Portland, Oregon, area and in the museum field. Based on literature research, front-end evaluation with Portland area families, and input from regional partners, OMSI developed a positive, story-based approach to engage English- and Spanish-speaking families in the region through a permanent exhibition, a cell-phone based outreach campaign, and series of community events. Educational activities focused on people and places in and around Portland and highlighted simple choices available to everyone. The Sustainability project also created and distributed needed resources and training opportunities about sustainable exhibit development, design, and fabrication for museums regionally and across North America. OMSI partnered closely with Metro regional government, the City of Portland’s Bureau of Planning and Sustainability, the Coalition for a Livable Future, Verde, and Portland Community College to develop and implement these sustainability-related initiatives. OMSI also worked with more than 15 additional community organizations to create content and promote the project. Expanding the discussion of “sustainability” in science centers from just focusing on environmental impacts to a “three pillars” approach that includes environmental, economic, and social considerations. This commitment included creating a 1,500-square-foot, bilingual (Spanish/English) exhibition, Clever Together/Juntos somos ingeniosos, designed to engage the public in developing an understanding of the skills needed for sustainable decision-making in their everyday lives. 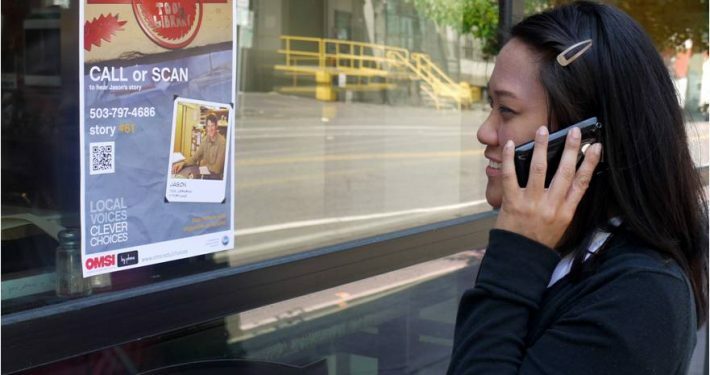 Exploring new bilingual outreach mechanisms that use cell phones, social media, and storytelling to encourage community members to learn about and try making more sustainable choices. This process led to the Local Voices, Clever Choices/Nuestras voces, nuestras decisions outreach campaign that created “access points” outside of the museum to engage people with sustainability-related stories and activities via phone or computer. Access points included permanent signs, posters, sculptures, interactive kiosks, A-frame signs, and giveaways. Using a bilingual co-development model by integrating English- and Spanish-speaking staff, partners, stakeholders, and audiences into all phases of project development. Creating www.ExhibitSEED.org (Exhibit Social Environmental and Economic Development), a web-based resource kit and professional-development workshop series for all types of museums about how to develop exhibitions in a more economically, environmentally, and socially sustainable manner. Tools included the widely used Green Exhibit Checklist¸ a LEED-inspired rating system developed specifically for tracking and planning museum exhibit sustainability. Eight bilingual museum events about sustainable living that focused on building skills that allow families to make more sustainable choices related to consumption, transportation, and food. These events involved local partners, cultural organizations, and businesses. The ExhibitSEED website and workshops have provided groundbreaking resources for museum professionals by expanding previous work on “green exhibits” to incorporate a three-pillar approach to sustainability, e.g., considering environmental, economic, and environmental impacts, into the entire exhibit development process. A key element of ExhibitSEED is the Green Exhibit Checklist (GEC). 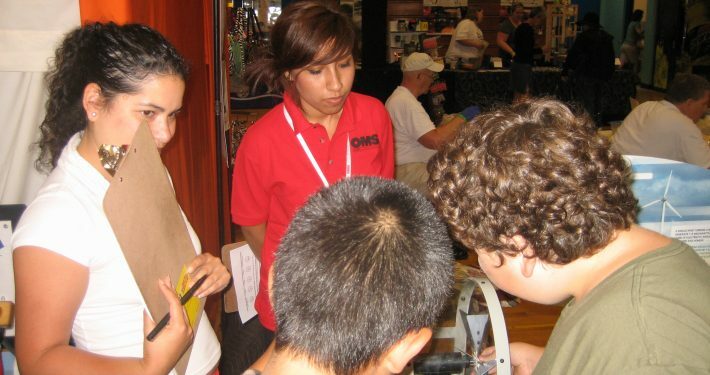 The GEC is a tool to evaluate the environmental sustainability of exhibits. The goal of the GEC is to inspire exhibit teams to plan exhibits with environmental considerations in mind. It awards points in five key strategies for reducing the environmental impact of exhibit production including: reduce new materials, use local resources, reduce waste, reduce energy consumption, and reduce toxic emissions—plus a sixth category for innovation. The GEC has now been used by 35 institutions to develop and/or evaluate the environmental sustainability of their exhibitions. Throughout the development and design of the Clever Together/Juntos somos ingeniosos exhibition, the project team applied and tested ExhibitSEED practices and aimed for the highest GEC rating (Platinum). Innovative green practices included using old kitchen cabinet doors donated by the ReBuilding Center as infill panels throughout the exhibition; printing all exhibit graphics directly on plywood to eliminate the need for adhesives, plastics, and other toxic chemicals normally used to produce graphics; and using human power instead of electronics in exhibits to reduce long term energy consumption. The exhibition will remain at OMSI for a minimum of six years and was designed to be repurposed at the end of its usable lifespan, adhering to a “cradle to cradle” philosophy. Many of the structures can be reused in future exhibits with minimal changes or additional materials, and the vast majority of the remaining materials are 100% recyclable. Collaboration on the Sustainability project has also influenced the work of our community partners. For example, Metro Regional Government and The City of Portland reported learning more about how to 1) present sustainability information in an accessible, “non-elitist” way that invites people to view themselves as participants, 2) present the social, environmental, and economic elements of sustainability, and 3) develop materials using a bilingual co-development model. OMSI specifically prioritized developing its sustainability programs as bilingual, culturally relevant experiences to make the museum more inviting to Hispanic families and to address discrepancies in sustainability-related education for Hispanic communities in the Portland metropolitan area. OMSI developed its bilingual, multicultural co-development model over the last several years and has being invited to share it with other institutions around the United States. The Sustainability project, though, was the first OMSI project where bilingual, multicultural co-development started from its very inception, even before funding. As part of this project, content was developed collaboratively in both Spanish and English, rather than conceptualized and written in English and then translated into Spanish. In addition to having native Spanish speakers on the OMSI team, members of local Hispanic communities participated in envisioning, developing, reviewing, and promoting the project.